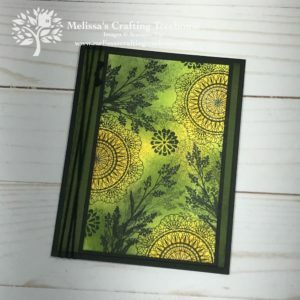 Today’s Fun Fold Card was is one of my three September / October Club projects and Free Card Kit Projects. 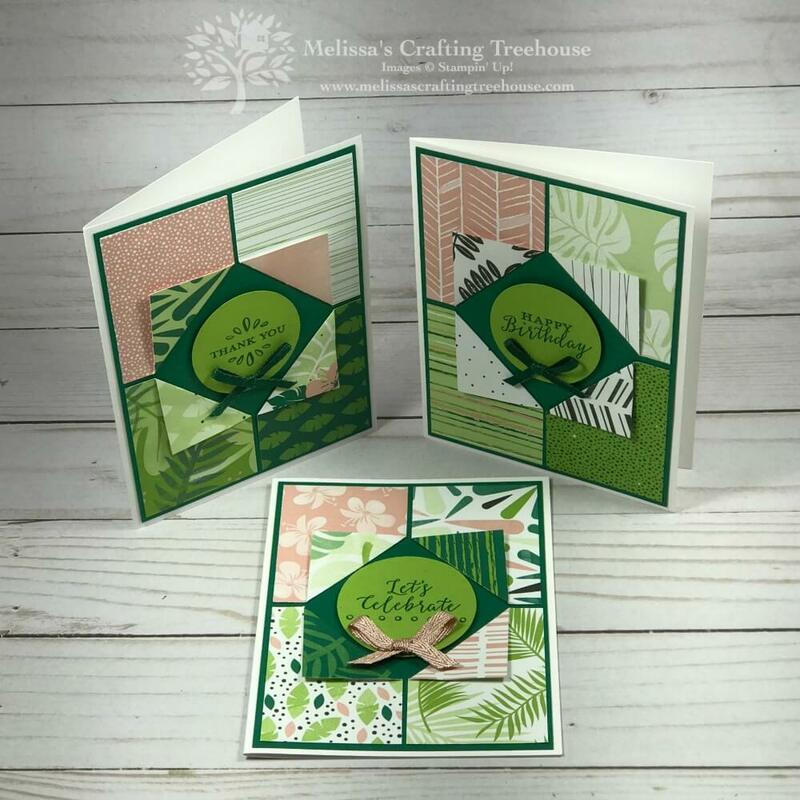 It features the Tropical Escape Designer Series Paper and Detailed With Love Stamp Set. 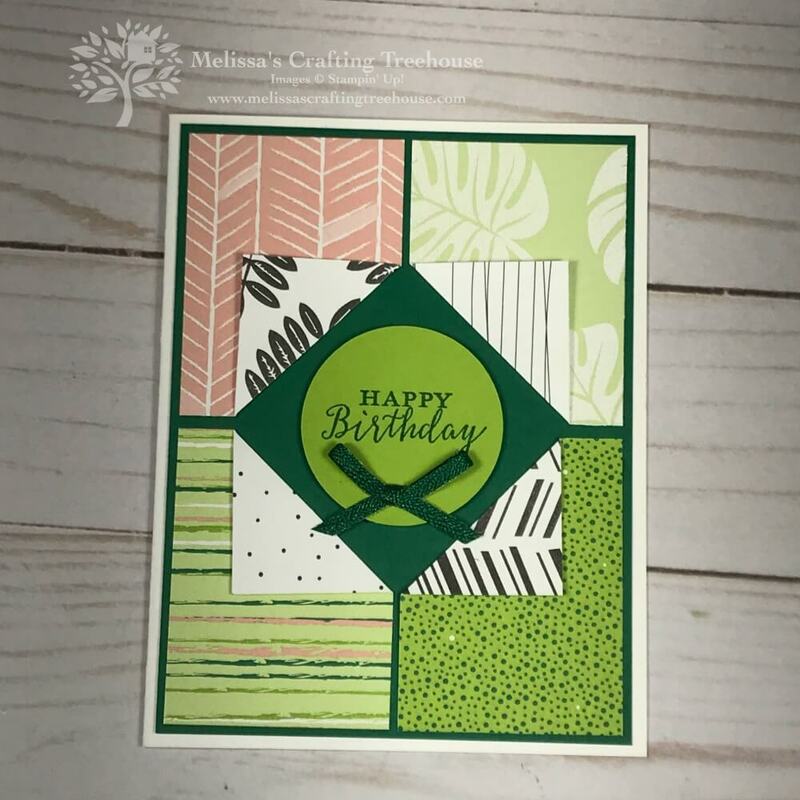 I just love this fun fold card! 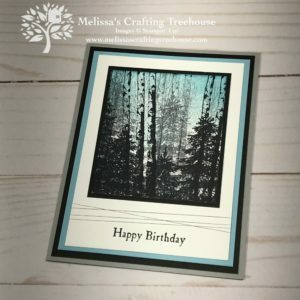 So far I’ve made this design using three different packs of designer series paper. 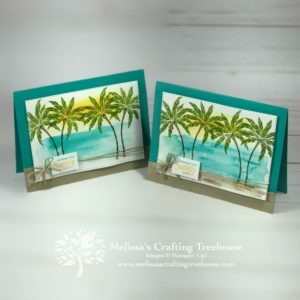 The first one was created with the Joyous Noel designer series paper (DSP) for a card swap with my fellow Alaska Cruise Achievers, the second is shown here and the third one features the Garden Impressions DSP. 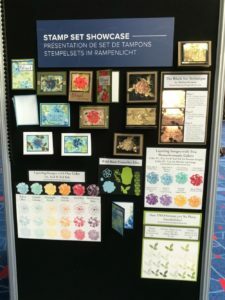 There will be links and/or photos of some of these designs ahead. 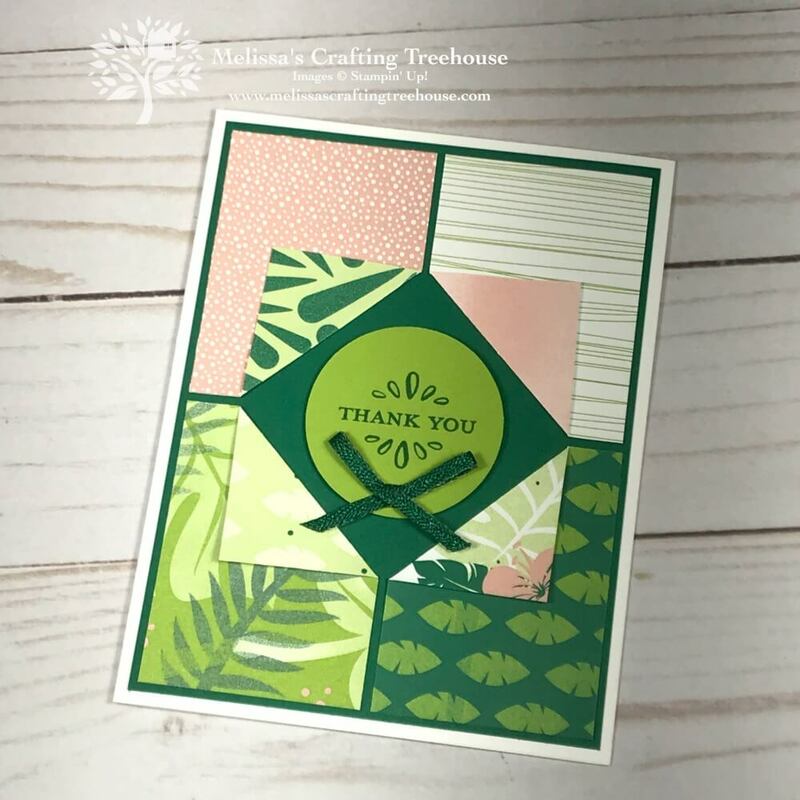 For this card I’ve used three different sentiments from the Detailed With Love Stamp Set. 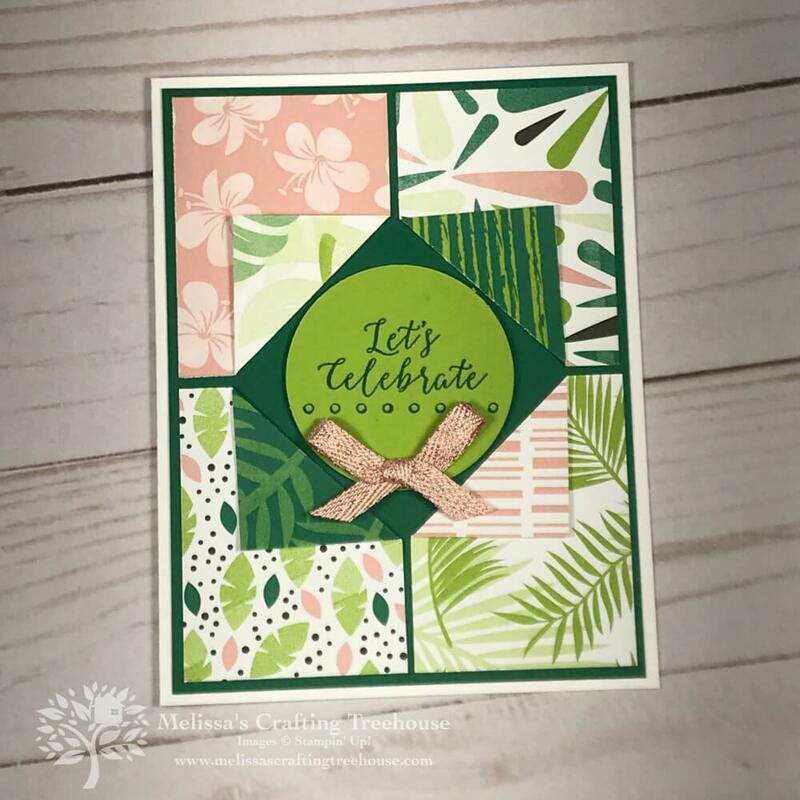 For the smaller two sentiments I used a 1-3/4″ circle punch and for the larger “Let’s Celebrate” sentiment I used a 2″ circle punch. 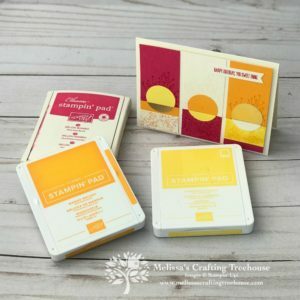 All the sentiments are popped up on Stampin’ Dimensionals. 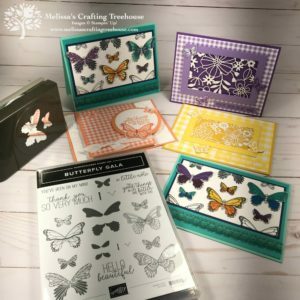 The ribbons used here are from the Metallic Ribbon Combo Pack. 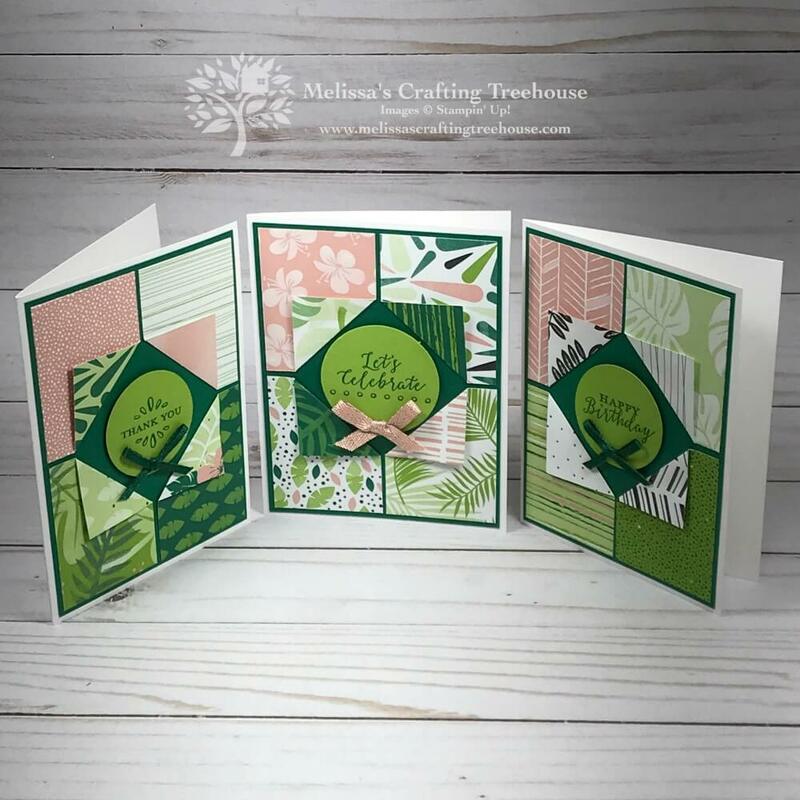 The colors are Shaded Spruce and Petal Pink. I simply tied and “air bow” and attached it with a MiniGlue Dot. I love how the different card variations look together.